I’m sure by now you’ve probably heard about the amazing benefits of bone broth. 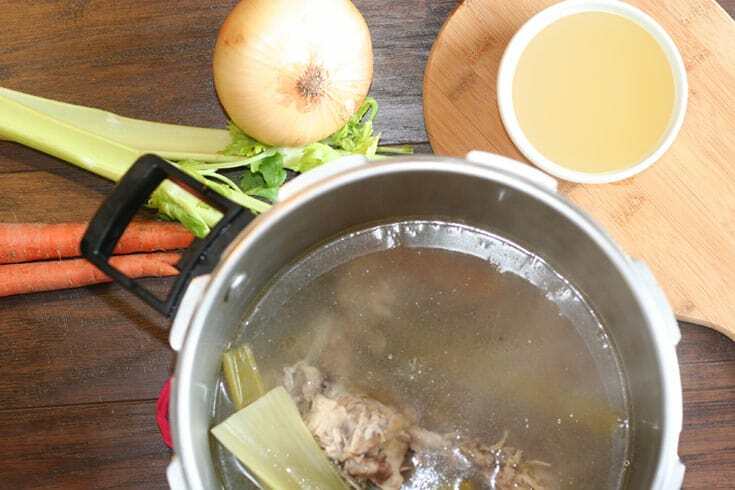 Making your own broth isn’t difficult, but to extract all of the nourishing goodness, it usually requires simmering your bones for 12 to 24 hours. In the past, I have made a lot of bone broth by slow cooker. It’s pretty easy to toss everything into the slow cooker and forget about it. But this can take time and sometimes you just don’t have the time. Or you are batch cooking and want to make a lot of bone broth at once. That’s why I’ve recently started making bone broth in my pressure cooker. You can make a batch of bone broth in about an hour, which is awesome! Check out the complete recipe and instructions over at Delicious Obsessions! 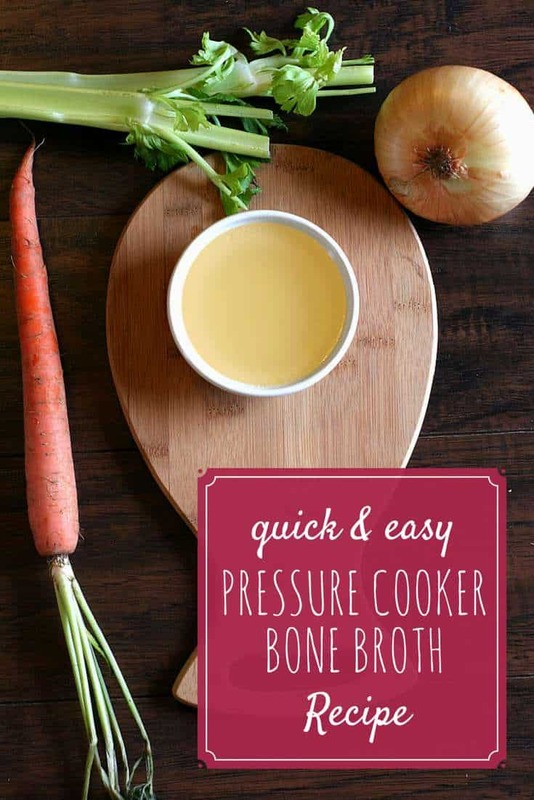 Get the Pressure Cooker Bone Broth Recipe! Great idea! We try to make broth just about every week, and this would definitely save time! wow. This is really a time saver. I am a crockpot bone broth cooker. Which pressure cooker do you use? Ok I admit I don’t have a pressure cooker, but if i did, that would be so nice to do it quickly. I normally turn mine on after dinner when we roast a chicken and let it go in a crock pot for 36 hours. Thanks for sharing on Let’s Get Real.